Welcome to another edition of the JBoss Weekly Editorial! This past week has been full of quite a bit, so we’ll just get right to it. That’s right, we’ve been hard at work bringing more quality software to you all. This past week saw many releases across a wide range of projects, some even having multiple releases in the same week! 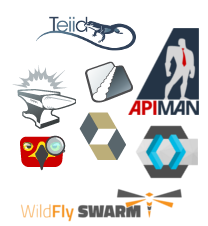 Wildfly Swarm 1.0.0.Beta8 — Great things are coming! 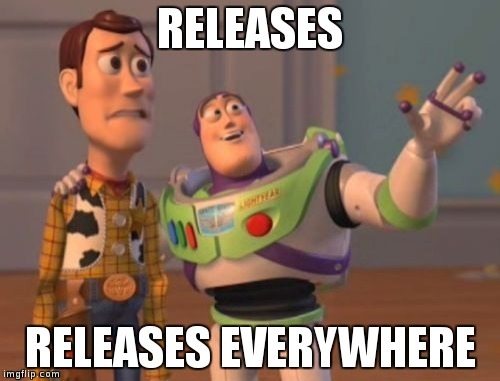 That’s it for the releases this week, look for more next week! The CDK, or Container Development Kit, is a pre-built development kit for writing container based application on Red Hat Enterprise Linux. Give it a spin regardless of the OS you’re running!Christina walks us through the Healthcare demo in the first part of a new demo series. The demo involves five different parties with multiple data languages involved. She’ll continue to break down the demo in the coming weeks, but it is a more realistic demonstration with multiple integrations and data translations. 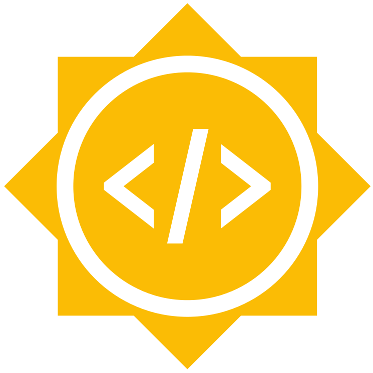 As we approach summer (at least in the northern hemisphere) students looking for something to do, at least those who are enthusiastic about tech, turn to Google Summer of Code. Once again, JBoss has had the honor of been selected as a mentoring organization! On Friday April 22nd Google announced the following ten students assigned to work with JBoss. There were many additional proposals, more than 70 in all! We’d like to thank everyone who submitted and look forward to working with you in the coming months. This week in JBoss (22nd April 2016): DevNation is coming! Welcome to another 'Week in JBoss'. This week was dominated by the announcements of many DevNation talks (more on that later). Expect DevNation and Summit to be a common theme over the coming months as the JBoss teams prepare their projects and products for our primary annual conference. As usual you can catch all the buzz around JBoss here, but for now, on with the editorial! 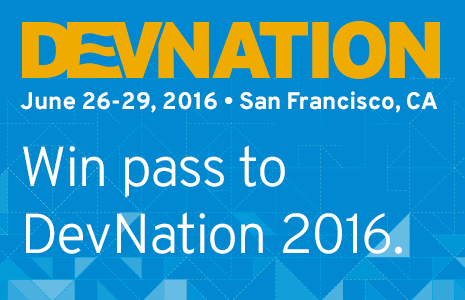 This June (26-29) we'll be back in San Francisco for the third DevNation conference. As usual you can expect a developer-focused conference with lots of exciting tech demos & presentations. We're also planning some great social events and hands-on hack nights! Hop over to the DevNation site where registration is open. Keep an eye out for more announcements an the full agenda on the DevNation site. What's New in the World of BPM? This week Kris Verlaenen attended the 'bpmNEXT 2016' conference and is (almost) live-blogging the whole experience. Catch the first four posts in his series: Part 1, Part 2, Part 3, Part 4. Stay tuned, maybe there will be some more? This week in JBoss (16th April 2016): Better Late Than Never! Apologies for being a couple of weeks since the last instalment but we're here again! And what a couple of weeks it's been?! Microservices has been dominating a lot of conversations across the industry for a while. Is it new? How does it relate to SOA? When I was on holiday recently I got a chance to put down a few thoughts on the subject, for instance how they relate to fundamental distributed systems, or what constitutes a microservice if in the future, as I suspect, we allow them to become dynamic systems? I also had a few musings on what typically leads to monoliths and how microservices isn't necessarily going to avoid those pitfalls. Take a look because your input in this technology wave is crucial. The Infinispan team seem to have got stuck in releasing one version after another (which is a good thing!) First we had 8.2.1.Final, then 8.1.3.Final, and now 9.0.0.Alpha1! Never one to be outdone, the Arquillian team shot back with a Graphene release, a new Drone version (two actually), and the Container Undertow release! There have also been a number of other releases of projects so check out The Buzz! Time for a couple of other highlights, such as Marc talking about APIMan in a network with limited connectivity, Heiko about Hawkular in ManageIQ sprints, Martin on Weld meeting Vert.x (great news!) and Vlad with the Hibernate newsletter. Mauricio also had some good news about the Drools book he co-authored - it's out now! Good luck guys and I'm looking forward to the movie version! The apiman project provides an Open Source solution for API Management allowing you to govern your APIs with a flexible, policy based runtime. The management of the runtime is controlled by permissions granted to a user through roles; these can either be the pre-defined set that comes with apiman or a custom based role that has been defined based on your requirements. The management of users, roles and permissions is straight forward within apiman, for more information on this topic check out Len's post where he discusses the details of the pre-defined roles and how to set up a special role for his brother in law. There are some big changes potentially coming to the Camel community, the recent release of Camel 2.17 will be the last to support JDK 7 with Camel 2.18 basing on JDK 8. If you are a user of Camel then now is the time to have your say about this change in direction, Claus has some more information about the changes that may be headed your way along with details of where you can join in the conversation so that the community can make a decision that is best for all. Christina has been developing an Auto Dealership Management Demo as part of a series that discusses the advantages of using Fuse Integration Services. In the sixth installment of the series Christina discusses how you can make use of Blue/Green deployments to deploy a new version of your application while retaining the necessary high availability for your application. If you are interested in the Hibernate community then the Hibernate Community Newsletter is always worth following, a regular newsletter that highlights many of the hibernates articles that have been published along with interesting discussions that have been taking place on the forums and on StackOverflow. As part of his App Dev Cloud Stack series Eric Schabell has often discussed why application developers can no longer ignore the stack. In previous posts he has covered the Container Development Kit (CDK) and its part in the puzzle, he is now moving up the stack to discuss the BRMS tooling and show how this can be installed within the Cloud environment. The apiman team have announced the release of apiman 1.2.3.Final. The teiid team have announced the release of Teiid 8.13.3. The Hawkular team have announced the release of Hawkular Metrics 0.14.0. The Apache Camel team have announced the release of Apache Camel 2.17. That's all from this week's editorial, I hope you managed to get through it unscathed and will join us again next week for some more news from around the JBoss Community.